For someone who never used to use, or see the point in make up brushes, it's safe to say that I'm now slightly obsessed with them. I have 5 jars and vases full of make up brushes, and I have several more squirrelled away in make up bags and drawers. I've said it before and I'll say it again though , a cheap brush doesn't make a bad brush, and if you were to have a look through my brush collection then you'd see that I have brushes from a huge variety of brands and at a variety of different price points. 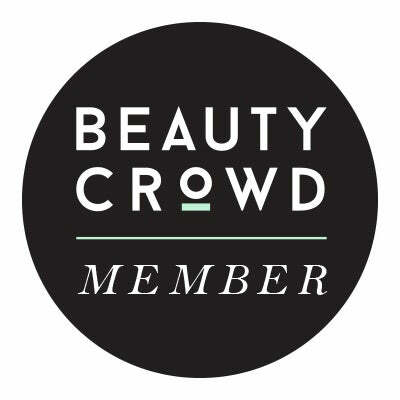 One of the brush brands of the moment is of course Real Techniques, the beauty tool brand founded and championed by professional make up artists and You Tubers Sam and Nic aka Pixiwoos. As much as I love watching their tutorials up until recently I only owned a couple of their brushes, a stippling brush and an eyeliner brush. I'd heard a lot of great things about their brush sets but if I'm being honest I couldn't really justify buying a full brush set. I didn't desperately need any more brushes, and even though I view Real Techniques as being a made range brand I couldn't really justify the cost. You know how it goes though, you stay strong for so long and then you just say sod it and buy it anyways. 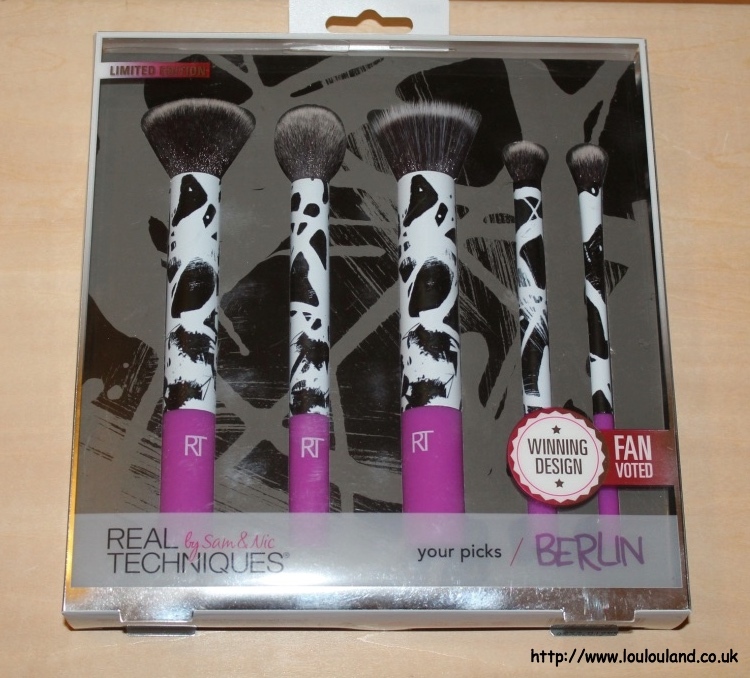 Well that's exactly what happened when I saw this set, the Real Techniques By Sam & Nic Your Picks Berlin Brush Set. 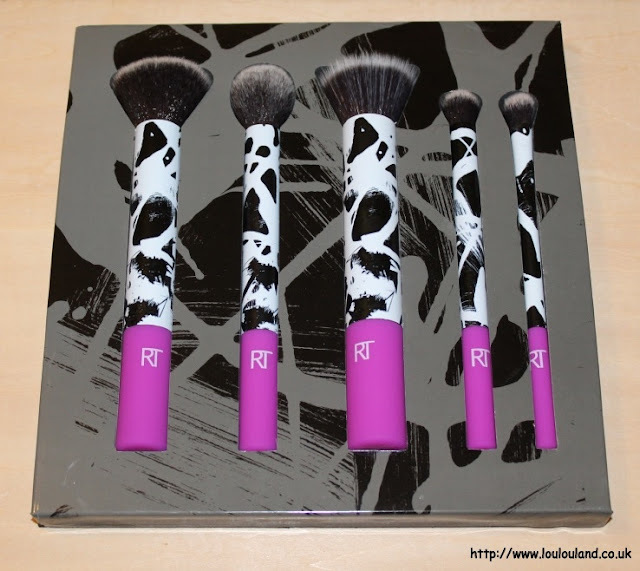 Comprising of 5 brushes for the face and eyes, this limited edition set is Real Techniques first ever fan voted kit. 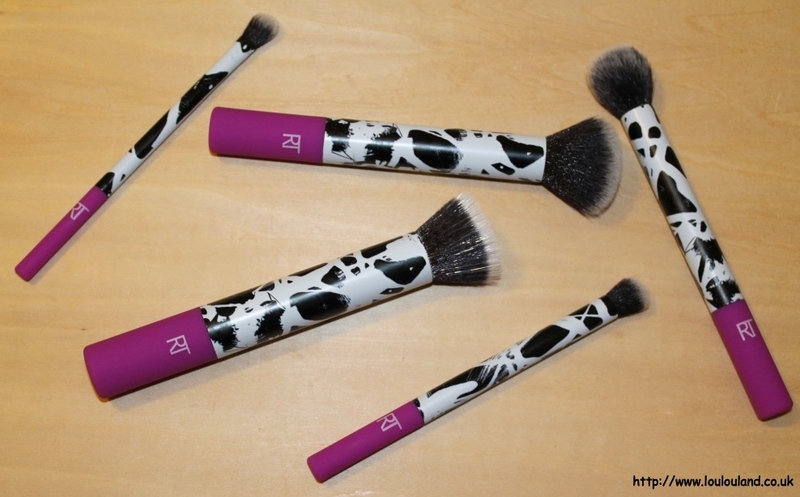 Way back in April, Real Techniques gave their fans the opportunity to vote via their Instagram and social media pages for which brush design they liked the best. All of the brushes were themed around cities, and the designs reflected local landmarks, art and culture. I'm going to be honest and say that I preferred the brighter Sydney or Shanghai designs, but this set Berlin was the clear winner. The inspiration for this design came from the multi cultural Berlin street art scene, with the brushes reflecting abstract paintings, street murals and graffiti. All of the brushes are cruelty free and are made from 100% synthetic duo fibres so they can be used with liquids, creams and powders. 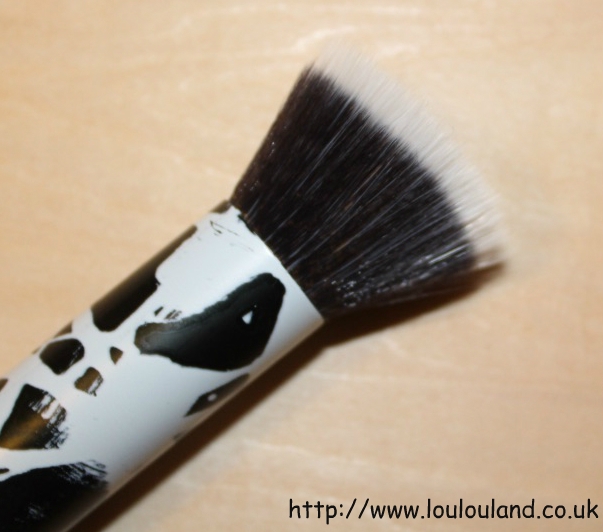 The main metal section of the brush handle features an abstract black and white, which depending on how you look at it could be a cow print, or even brush strokes. The name of each brush is also printed on the side in hot pink / purple colour. In direct contrast to the black and white design, and the monochrome brush hairs, the end of the brush handle is also in a bright pink / purple plastic which has a slightly rubberised feel for easy grip. If you're a loose or pressed powder fan or if like so many of us, you love the look and ease of mineral foundation, then this is the brush for you. 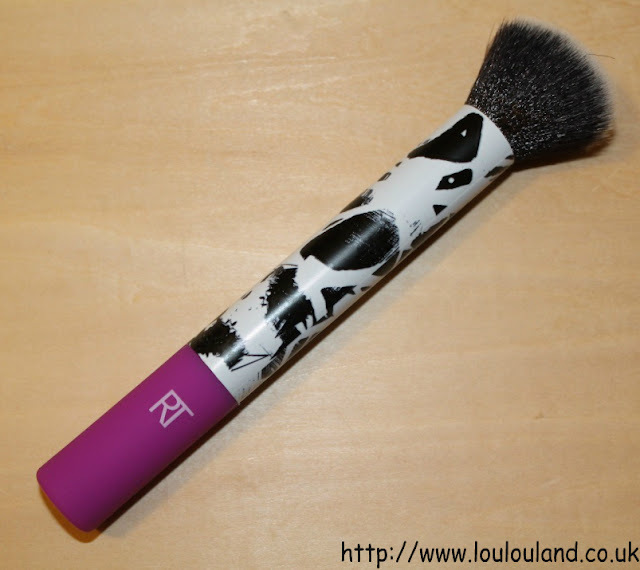 It's super soft and fluffy, but it isn't too big so you can apply the powder exactly where you need it. 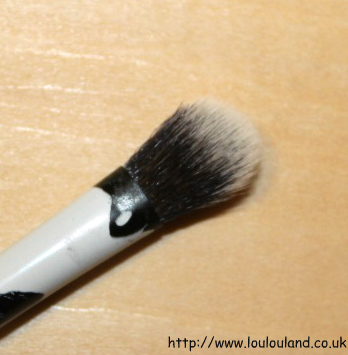 I've been mainly using this brush with both loose and pressed powder and I've found it a really easy brush to use. It picks up powder with ease, and it feels gentle on the skin but at the same time it's firm enough to do the job. When I first used this brush I notice a little bit of shedding and as you probably see in the photos above some of the hairs were slight splayed. I do think that this was probably down to the packaging though rather than down to any manufacturing issue. The brushes are quite tightly packed it a piece of foam so I think that may be why some of the hairs were slightly displaced. One of the key beauty trend of 2016 was contouring, or using powders and creams to re shape your face. As well as needing the right bronzers, concealers and highlighters you also need the right brushes to apply you make up. This smaller slightly domed brush is perfect for applying a bit of highlighter to your cheekbones or even for popping a bit of colour into the hollows of your cheeks. I've mainly been using this brush with a powder highlighter, and again I was really impressed with the softness of the brush, and with how easy it was to use. 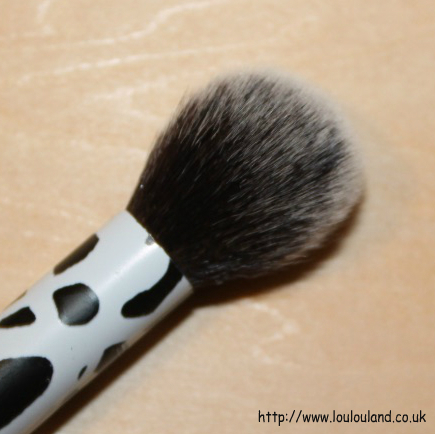 I already have quite a few similar brushes in my collection, and whilst I do sometimes mix it up and apply my foundation with a different type of brush or sponge, I always end up coming back to the classic stippling brush. This duo fibre brush not only features two different types of hairs, but the hairs themselves are actually different lengths for a more natural, feathery finish. The brush hairs again are super soft but at the same time the brush is substantial enough to hold it's shape even when it covered in liquid. I've been using this brush mainly with a liquid foundation, but I've also tried it with a cream foundation and I was equally impressed. 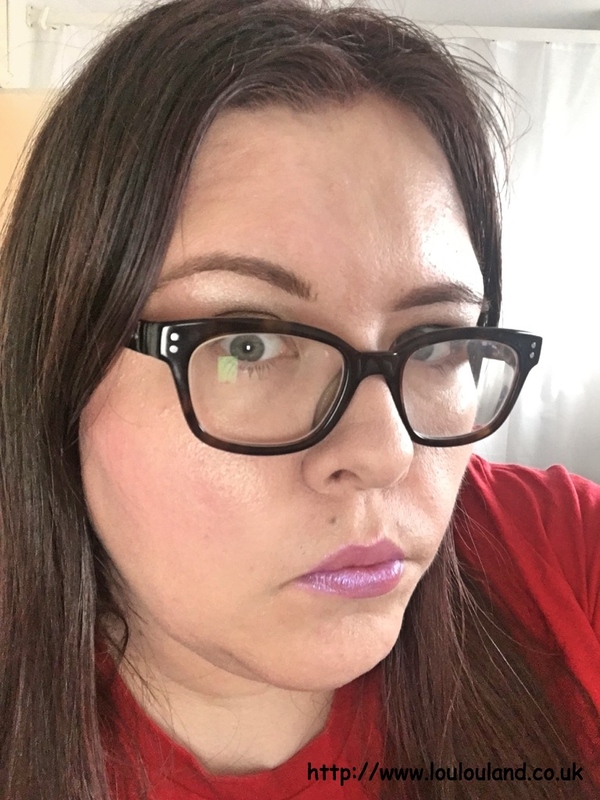 I did notice a little bit of shedding the first time I used it but it was a very easy brush to work with and unlike some brushes that I've used in the past it blended out the product very easily and I didn't really get any streaks, or uneven patches. The last two brushes in the kit are both eye brushes and this one is the Deluxe Crease Brush which is specifically designed to contour and shape the eyelid. This is quite an over sized fluffy crease brush, personally because I don't have a lot of lid space, I prefer a smaller more precise crease brush but I still think that I'll get a lot of use out of this brush. With a very steady hand I can use this brush to apply colour to my crease but I think I'm mainly going to be using this brush to blend and soften my eyeshadow, and maybe to apply a highlight colour to my brow bone, where I have a bit more space. 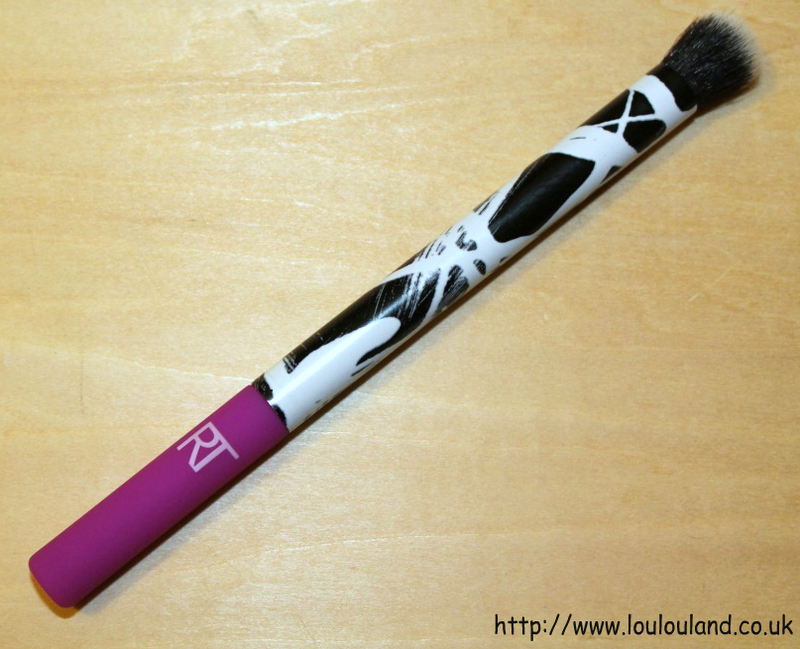 Like all of the other brushes in this kit this one was super soft, but it was substantial enough to the job. Again some of the hairs did look a bit splayed and I did actually notice a few loose hairs in this brush that came out when I first used it. 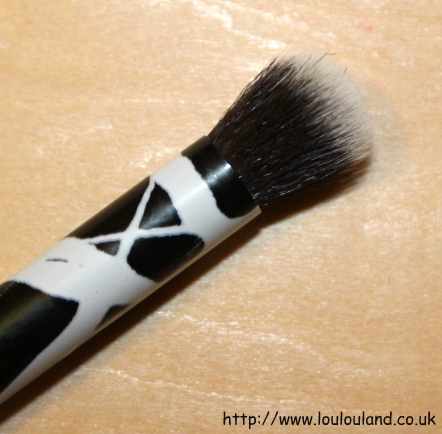 The final brush in the kit is the Base Shadow Brush. This brush is still pretty soft and fluffy but it's a lot smaller and as a result I think it's something that I will definitely be using on pretty much a daily basis. As the name would suggest this brush is perfect for applying your base shadow colour all over your lid, personally though I would also use this brush for crease work and even for applying an eyeshadow primer. This is a super versatile brush and I think that it's one that most people would get a lot of use out of. In fact I think that most people would get a lot of use out of this entire kit. This set contains 5 of the most useful essential brushes that everybody needs in their collection. These brushes look great and bar a couple of minor blips, the quality is excellent. 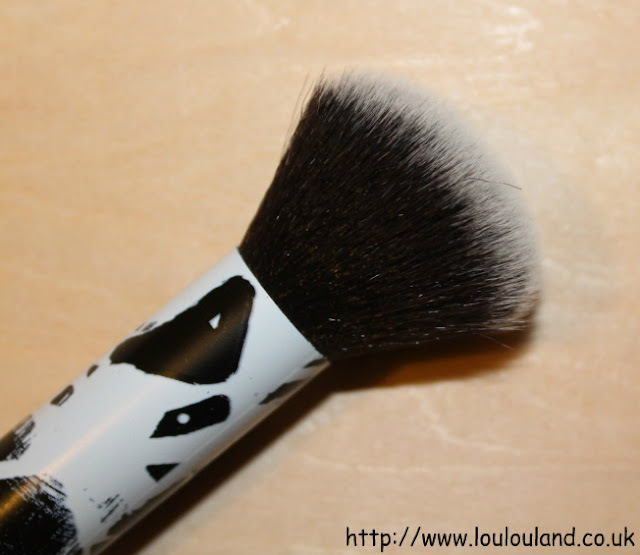 All of the brushes were really easy to wash with minimal shedding and they were quick drying. I think that this kit would be perfect for someone who is new to make up or for anyone who wants to expand their make up brush collection in one easy step. The Real Techniques Your Picks Berlin, is a limited edition set with a recommended retail price of around £25 and is available from all of the usual Real Techniques stockists including Boots, Superdrug and the Real Techniques website. This was a limited edition holiday kit though so you better get your skates on if you want to grab it before it disappears. If you're having trouble finding it though, don't despair, in celebrating of the new year and LouLouLand reaching, 1,000,000 all time blog views, I've managed to track down an extra set, which I'm going to be giving away to one of my lucky readers. To start going to the gym! My goals for this year is that I want to eat healthier.. I eat many vegetables and fruits but sometimes also many sweet things or bread (which here is very good haha) And do more exercise. 😉 Happy New Year And Good luck to all, I really want to try this beautiful RT brush set! My new year resolution is to lose some weight. Normally, I do not make new years resolutions, so I do not have any. These brushes look great. My resolutions are to lose some weight and read more books. Thanks for running this giveaway. Happy New Year! I haven't made any, but my boyfriend is trying to lose weight, so I'm helping him with that. My new years plans are to eat more healthy, spend more time outdoors and try to be less stressed about things! my resolutions are: to eat more healthy, to workout more, to remember that time is precious. Mine is to get generally fitter and eat healthier foods. Mine is to look after myself more! I keep saying I don't have time when I need to make some for myself! My New Years Resolution is to get healthier, fitter and stronger! I never make and new year resolutions as I always break them. I want to have read 50 books by the end of the year, I only managed 38 last year! my new years resolution is to stop being so wasteful. i literally have a room full of stuff i buy and dont use or even like! To do lots and lots and lots of walking, get myself fitter. My main resolution is to lose weight. To clean my make-up brushes as often as I should!!! I need to start doing more exercices. My New Years resolution is as always to get in shape and regularly clean my make up brushes not let them stack up until I have to buy new ones. I didn't make a resolution this year. My main resolution is buy a new car. Mine are to be happy and to wear all of the clothes/shoes that I keep buying but never wearing! The main one is to pass my driving test. My resolution is to learn to swim! I want to learn to be more confident, and to eat healthier! To have 'me' time more often. I'm going to try and be nicer to everyone! I don't really believe in making New Year's Resolutions to be honest as I think I'm always setting myself up for disappointment? My new years Resolutions are stop eating fast food and think positive. Definitely to lead a healthier lifestyle. I am doing pretty well so far. My resolution is to worry less! Mine is to concentrate on me more as I keep helping others and getting not even thanks for it or being taken for a mug so it's time to put me first and say no more often. Eat more vitamins - I've bought a Smoothie Maker to assist. 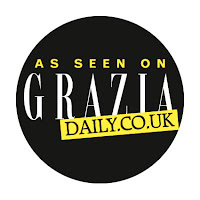 My resolution was to start my blog properly which I have done & im loving it! Mine is to pass my driving test. My new years resolution was to try to eat healthier and drink more water daily. My New Years Resolutions is to spend more quality time with my family and friends. I'm wanting to tone up after loosing 3 stone. Mine is to take more exercise, however, I fell down the stairs a couple of weeks ago and badly sprained my foot so its not going too well at the moment! Give up smoking and join back gym! Eat less. Move more.... so far so good too! I am trying to practice and use my french, i've been studying it for 10 years, I should try to speak it sometimes! My New Year's Resolution is to take control of my finances as I am terrible with money! I spend far more than I should so this year I am only buying essentials and things I genuinely need and by doing that hope to save a set amount of my wages every month. I hope to carry on with my weight loss journey (I've managed 4½ stone so far last yar) and get to target this year - hopefully! Not to make a resolution I can't keep, but to have as much fun as I can with my children.